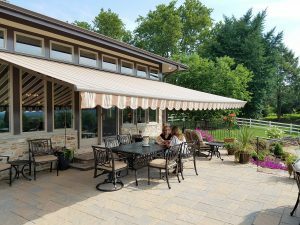 Add beauty and comfort to your home by adding a retractable awning to your patio or deck. Enjoy outdoor living from early spring to late fall while protecting your furniture from the rain, snow and pollen. 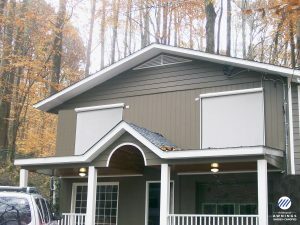 Our Solar Shades are PVC coated polyester or fiberglass woven material that offer sun protection while enhancing the quality of light and let your windows be used as they were designed. Special Offer: Get a free Somfy Standard Motor with the purchase of any Aristocrat Manor, Villa or Estate Retractable Awning! 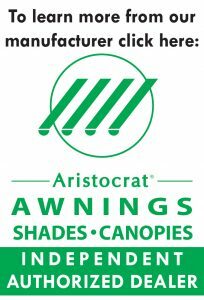 We are an authorized dealer of Aristocrat Awnings, Solar Shades and Canopies for homes and businesses.